PlayStation Plus and Xbox Live Gold are both services that offer a lot of benefits Xbox Live vs. PlayStation Plus: What Do You Get With Each? Xbox Live vs. PlayStation Plus: What Do You Get With Each? If you're got a PS4 or Xbox One, you've probably thought about subscribing to PlayStation Plus or Xbox Live Gold. Let's see what they offer gamers for the price. 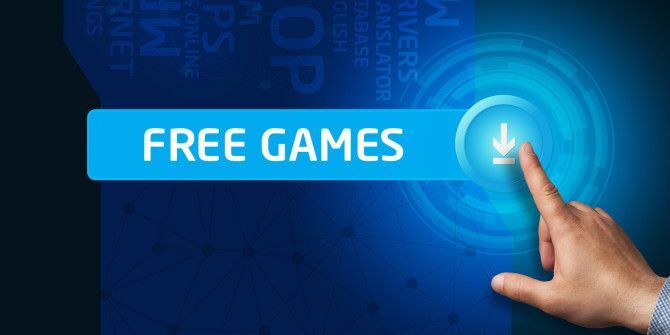 Read More , one of which is free games to download every month. To avoid the wait, you can even download them right to your console using the PlayStation Store online or the Xbox Marketplace — or even use your console’s companion app Get More Out Of Your Console With Companion Mobile Apps Get More Out Of Your Console With Companion Mobile Apps A game controller isn't a terrible remote, but it’s not a great one, either. A tablet or, in some cases, a smartphone provides a better way to access console features. Read More to grab them right from your phone! Here are the games you can look forward to next month. Sony let their users pick which of three games they wanted to see this month, and the winner was Broforce, a run ‘n’ gun shooter similar to Contra. Galak-Z is the other PS4 game, a physics-based procedurally generated game just like the upcoming No Man’s Sky. PS3 users get The Last Guy, a top-down game where you must rescue civilians from monsters, and Super Stardust HD, a classic space shooter updated for modern times. Finally, those with a PS Vita can check out Flame Over, a roguelike firefighting game, as well as Reality Fighters, where you can scan your own face to create a fighter. The Xbox One’s first game is Sherlock Holmes: Crimes and Punishments, a graphic novel game where you solve crimes as the legendary detective. The other title, Lords of the Fallen, is a challenging action-RPG coming March 16. If you’re rocking an Xbox 360, you can check out Supreme Commander 2, a tactical strategy game, and the original Borderlands (on March 16) — perfect if you want to see how the series started! Don’t forget that you can play these Xbox 360 games on the Xbox One through backwards compatibility, so you can play all four games on one system! What do you think of this month’s free lineup? Let us know if you’ll be playing these games in the comments! Explore more about: Free Games, PlayStation, Xbox Live. Both xbox 360 free Games with Gold In March are not very interesting at all to play in fact they are quite very boring & is just a waste of download time & will fill up your HDD & in the end you will delete them both. Now on the other hand the 2 xbox one games especially Lords of the Fallen RPG game you just wont put the controller down not even for a second to go to get a drink or the toilet they are that great & fun to play. My advice is if you haven't gold a live gold subscription on xbox now is the time to get one if only just to get these 2 xbox one games believe me. Well good luck & fun gaming to all.